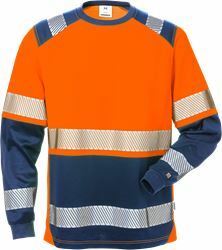 Long sleeve high visibility t-shirt with high percentage of cotton and stretchable transfer reflective tapes to provide optimal comfort and flexibility. 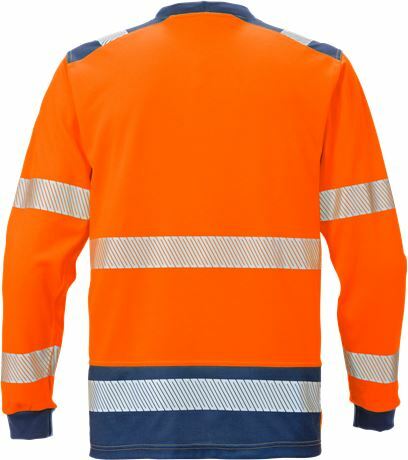 Contrast areas where the t-shirt is most exposed to dirt and soil. 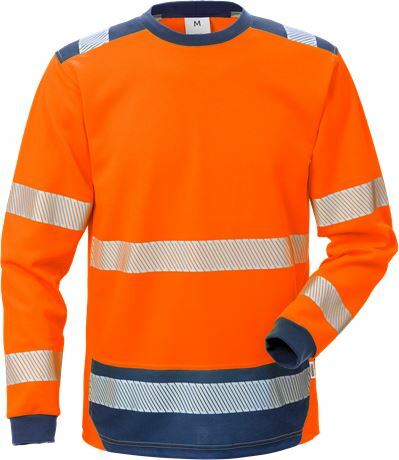 Rib-knitted band at neck and cuffs / Striped reflective transfer / Reflective detailing on shoulders / Cotton inside / Approved according to EN ISO 20471 class 2 – sizes XS and class 3 – sizes S - 4XL / OEKO-TEX® certified.